The New England Team is a company of exceptional professionals that have created a niche in the sales and marketing industry that desperately needed to be filled. We consult with large, service-based corporations that are interested in expanding their customer base in Natick, MA and the general New England area. Over the last decade, it has become increasingly more difficult to target specific consumer groups due to the indirect nature of advertising. We specialize in bridging that gap and creating a more personal experience for the customer. By focusing on the direct marketing and consultative sales process we can create a tailored customer experience that encourages long-term loyalty and a positive company image. Our brand of marketing takes customer service to the next level. Our success over the last several years has allowed us to expand to new markets and take on more clients. The New England Team currently has 6 offices across the U.S. and is looking to take advantage of continued growth presented by by our clients. Our priority is to be able to provide training and career growth to our employees that will give them the ability to take on new responsibilities and grow into multiple new roles as they become available. Every day at The New England Team, our main focus is to “wow” our clients. By putting an emphasis on quality acquisition and exceptional training we have been able to expand the customer base for our campaigns by thousands. The New England Team focuses on finding out what customers truly need to preserve the reputation of our clients and ensure long-term, sustainable growth. Success is worth having if you are able to create opportunity for others around you. 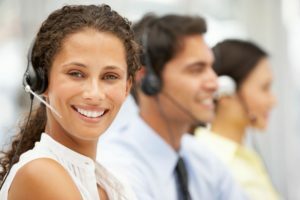 Headquartered in Natick, MA since 2014, The New England Team has quickly become one of the top providers of high quality consultative sales and marketing services to leading service based clients in the Greater Boston and New England areas. A live representative is standing by Monday through Friday from 9am – 5pm. Click here to chat with a representative.